The Boddy House is currently undergoing renovations and will reopen as the Pasadena Showcase House of Design from April 21 – May 19. You can get tickets for the Showcase House at pasadenashowcase.org. The Pasadena Showcase House of Design is a nonprofit and all money raised from this event will support local music programs. The Boddy House will reopen to the public in late spring. Perched high above the Descanso Gardens landscape on the crest of a hill, the historic Boddy House offers a glimpse of a glamorous bygone era. Built as the home of Descanso founder E. Manchester Boddy in the late 1930s, the Boddy House today is a must for every first-time visitor. 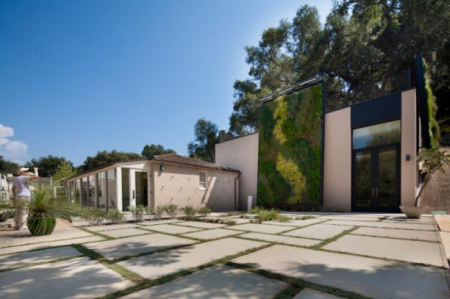 In 2007, Pasadena Showcase House for the Arts chose the Boddy House to be transformed into its 43rd annual Pasadena Showcase House of Design. 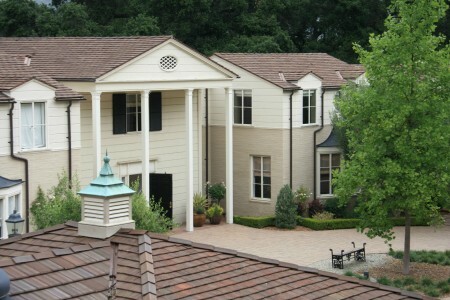 The following year, Descanso Gardens received a grant from The Ahmanson Foundation of Los Angeles to return the house to the visiting public as a house museum, an interpretive center showcasing highlights from the history of the property, and an elegant and attractive location for entertaining. Hours: 10am to 4pm daily. A docent is available to answer visitor questions. To find out if the Boddy House is open prior to your visit, please phone the Visitor Center at (818) 949-4290. Admission: Free with admission to Descanso Gardens. No visit to Descanso Gardens is complete without a visit to the Sturt Haaga Gallery. Rotating exhibits throughout the year seek to illuminate the intersection between contemporary arts and the sciences represented by the garden — botany, horticulture, biology, ecology, conservation, and the study of gardens as cultural artifacts. Gallery hours: 10am to 4pm daily. To ensure the gallery will be open during your visit, please phone the Visitor Center at (818) 949-4290. 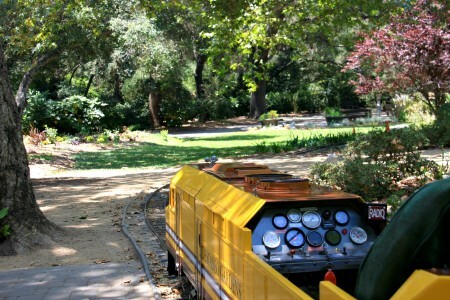 Take a light-hearted look at Descanso Gardens from a 1/8th-scale replica of a diesel train. The Enchanted Railroad is a Descanso icon, delighting young and old who climb aboard. The railroad travels a section of the Gardens near the Promenade. Price: Tickets are sold at the Visitor Center and are $3 per rider or $25 for a book of 10 tickets. Requirements: Riders must be at least 30 inches tall and able to sit on their own. Schedule: All schedules are subject to weather and availability. Please call ahead to see if the train is running at (818) 949-4200. Note: On the third Tuesday of each month, the Enchanted Railroad runs from 10am to 1pm. 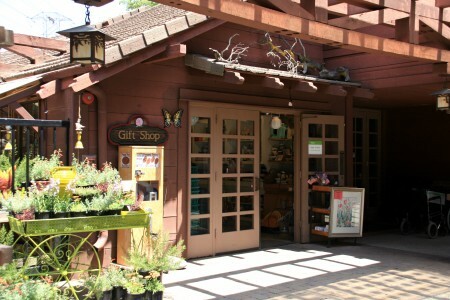 The Descanso Gardens Gift Shop and Plant Patio is a cozy, cedar-beamed complex near the entrance to Gardens. The Gift Shop carries items of interest for all visitors: home gardening enthusiasts, landscape and interior designers, horticulturists and plant lovers everywhere. Merchandise in the Shop includes home and garden furnishings, such as garden benches, bird baths, statuary, lanterns and cherubs. The art lover will find beautifully framed prints, original watercolors, rugs and wall hangings. No botanical garden gift shop would be complete without a vast array of garden and nature books for both adults and children. Other merchandise includes an exceptional selection of cards and other gift items such as lovely glassware, ceramics and collectibles. Outdoor wear includes T-shirts, sweatshirts, gloves and hats. The Gift Shop is open every day except Christmas. Hours are 10am to 5pm. For information, phone (818) 949-4292. 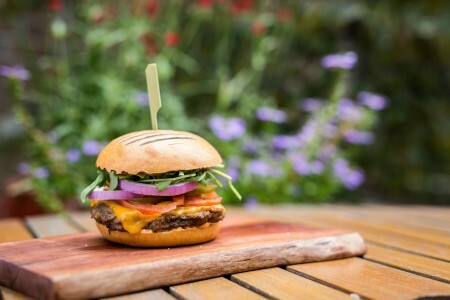 Café Descanso, operated by Chef Joachim Splichal’s Patina Restaurant Group, provides a casual outdoor dining option during your visit to Descanso Gardens. Located near the Gardens entrance, the Café showcases the season’s best fruit, vegetables and herbs from local farms and gardens, including our own “Nature’s Table” at Descanso Gardens. We offer a gourmet selection of fresh salads, sandwiches, homemade desserts, ice cream, beer and wine. Seating is available on the adjacent outdoor patio. Café Descanso is open daily (except Christmas) from 8am to 4pm. Descanso members enjoy a discount on their purchase. For more information, please call (818) 790-3663. For information about Café Descanso, Maple Restaurant or Patina Catering visit the Dining at Descanso page.